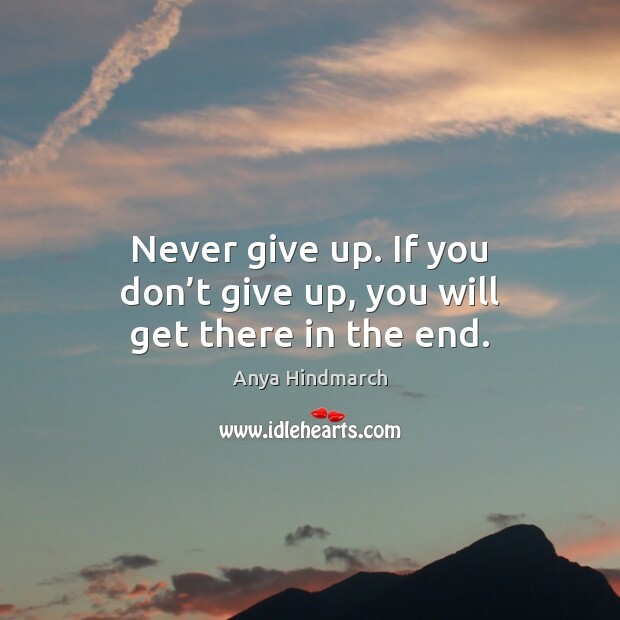 Enjoy the best inspirational, motivational, positive, funny and famous quotes by Anya Hindmarch. Use words and picture quotations to push forward and inspire you keep going in life! Never give up. If you don’t give up, you will get there in the end. I think it's wonderful and important for there to be so much choice for customers. 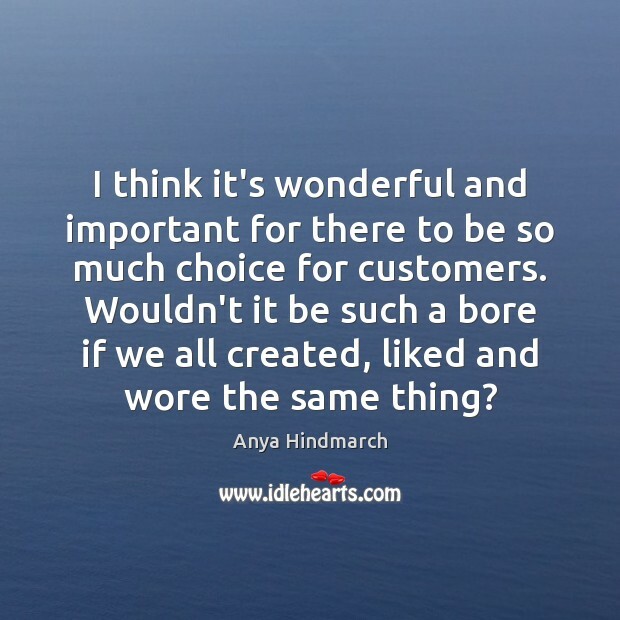 Wouldn't it be such a bore if we all created, liked and wore the same thing? 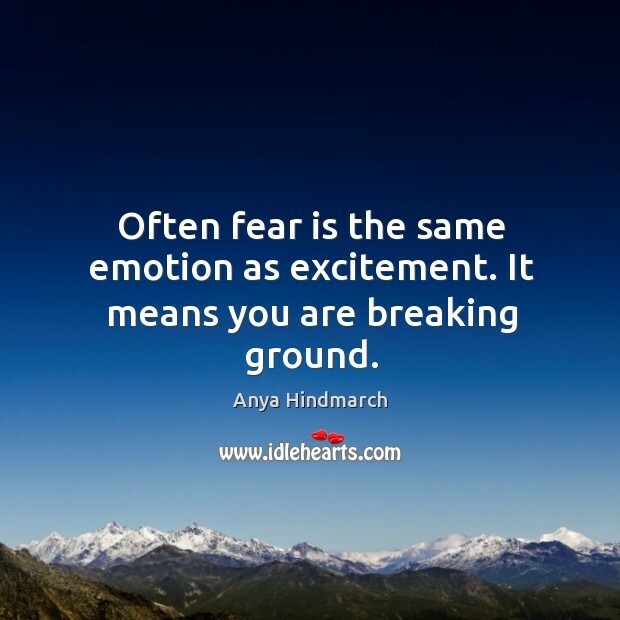 Often fear is the same emotion as excitement. It means you are breaking ground.